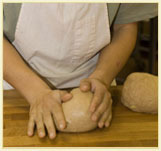 Great Harvest handcrafts bread daily using only pure and simple ingredients. Each morning we fresh-grind premium whole wheat in the bakery and blend it with ingredients from nature, like yeast, salt and honey. Great Harvest never uses chemicals or additives. The result is bread that tastes simply amazing. Bread shouldn't be boring, dry or full of air. 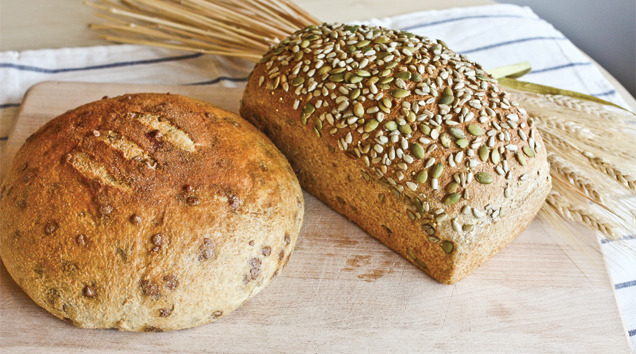 Real breadis rich, moist, hearty and life-enhancing. 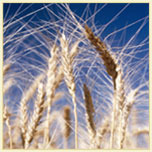 Whole wheatbread made Great Harvest-style retains vital nutrients. Moms,kids, athletes and health-conscious people of all ages lovethe flavor and nutrition benefits. For more than three decades we have been a friend to family farms located in Montana. We know our wheat farmers on a first-name basis. 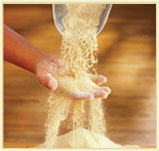 They understand and produce our proprietary whole grains that have the baking qualities and hearty taste that's uniquely Great Harvest. Our bakery is locally owned and operated. It's no surprise, then, that we are passionateabout being genuine --- in our craft, in our customer service, and in our community commitment.